Fuse Medway Festival came to a close this Sunday after a fabulous weekend of free entertainment from local, national and international outdoor performers. 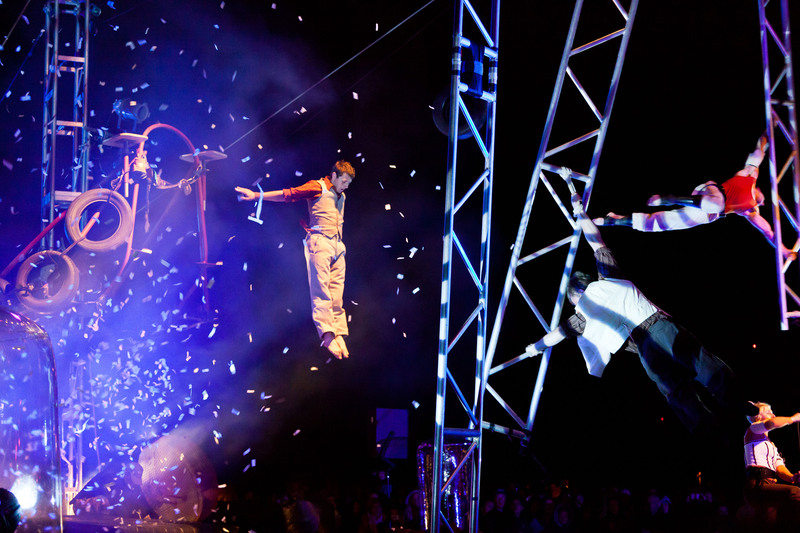 Huge audiences enjoyed the Friday night’s Opening Parade, an explosive weekend programme of street theatre, dance, circus and music and Saturday and Sunday spectaculars. This was new artistic director Lélia Gréci’s first full year at the helm and her choice of artists and programme proved to be a winning formula. In order to plan for next year, Fuse will be taking on board all feedback provided through audience surveys gathered during the festival. People can still offer their feedback on www.surveymonkey.com/s/fuse2012. If you want to have your say about next year’s Fuse in a more informal manner, why not pop along to the Brook Theatre, Chatham, on Monday 9th July at 6pm and make the festival truly yours? Fuse Medway Festival is jointly funded by Medway Council and the National Lottery through the Arts Council England and the 2013 Festival runs from 14-16 June. For more information visit the website at www.fusefestival.org.uk, or join them on Facebook or Twitter. This entry was posted on 18/06/2012 by Creatabot in Creative and Art News and tagged art, art in Kent, art in South East, art zine, artist, creatabot, Creatabot zine, creatarbot, creatbot, createbot, creative, creative Kent, creative magazine, creative South East, creative website, creative webzine, creative zine, creativity in Kent, creatorbot, dance circus, festival, Fuse, Fuse 2012, Fuse 2013, fuse festival, Gallery, help creatives, help for artists, indie, indie art, indie magazine, indie zine, Kent, Medway, medway council, online art magazine, online art magazine Kent, online art magazine UK, online creative, online creative magazine, online magazine, promote artists, South East, studio, support artists, support creatives, the arts in the South East, webzine, zine.